ATTENTION, READERS in the 28 EUROPEAN VAT COUNTRIES: Because of the new VAT law, you probably can't order books direct from my site now. But that's okay -- just go to my Smashwords author page. You can order PDFs (as well as all the other ebook formats) from there. 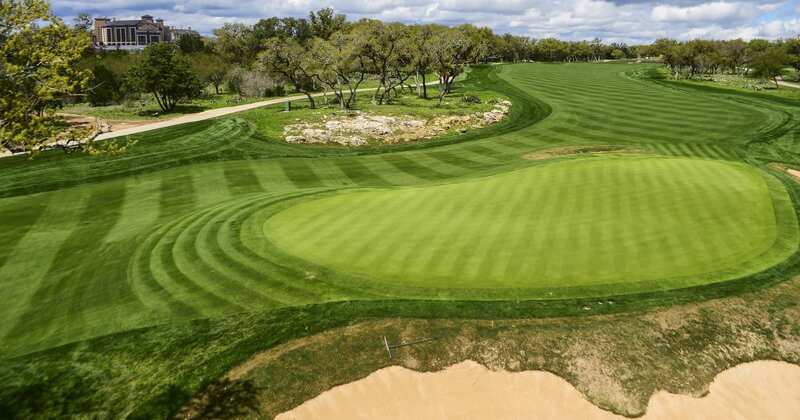 This week we move to the Tour's last stop in Texas, the Valero Texas Open. TPC San Antonio always gives the pros all they can handle. It's over 7400 yards and has four par-5s -- uncommon at a pro event these days -- yet the course has NEVER averaged under par. (Last year the average was 72.367.) The course can be windy and the greens are hard to putt even when the winds are down. All of this leads to surprise winners... and since the final Masters spot is awarded to the winner of this event, that spells opportunity for the players this week. PGATOUR.com says that, as of Monday afternoon, only 17 players in the field are in the Masters. And that brings us to my Tuesday Twofer. I haven't done as well as I'd hoped over the last few weeks -- I still can't get over JT getting crushed in pool play last week -- so I'm throwing caution to the Texas winds. My Top10 pick this week is Abraham Ancer. Ancer didn't do so well last year, placing T58 in his first appearance. But he's not a rookie anymore and, while his play has been a bit up-and-down this season, he had a T12 and a T17 in his last two starts (THE PLAYERS and WGC-Match Play). Given that those were both first appearances for him, I think he might have the game to excel on this tight course. And my pick to win is Aaron Baddeley. Despite an MC at THE PLAYERS, his last four events have been T2-T17-MC-T7 (that last one at the alternate event last week). Baddeley scrambles and putts so well that I think TPC San Antonio fits him, and he seems to be in form to take advantage of that fit. Granted, I have no idea how these players will do this week. And there are other wild cards in the field -- like Rickie Fowler, making his first-ever appearance -- who could easily be the surprise winner this week since he has no record here. But maybe I'll get lucky this time. GC's live coverage begins Thursday at 3:30pm ET. You can get all the TV times (and a link to all the Thursday tee times) at this golfchannel.com page. the free ebook Ruthless Chipping. and you can download EPUB, PDF or KINDLE versions. All six Quick Guides available for one low price! Although Xander had two strong wins, Tiger's Tour Championship and Masters wins easily allowed him to take over the fifth spot. Author of several golf books including Ruthless Putting and Stop Coming Over-the-Top, and editor of Classic Adventure Stories: Swashbucklers, a collection of classic sword-fighting novels. I've run the Ruthless Golf blog since mid-2009. And I've also done some writing for Golfsmith.com. I'm a writer, cartoonist, graphic artist & self-publisher who's played in some local pro golf tournaments. The challenge of learning new things really appeals to me. And I don't believe age should ever keep you from chasing your dreams. I also write children's easy reader books under the pen name Mick Michaels, and poetry under the pen name Will Shakespeare. You can also read more of my golf writing at Golfsmith's Golf Tips section. Will the 2019 USGA Rule Changes Really Help Slow Play? Lotte Championship Preview, Pairings and More.